The following is taken from Wikipedia. Earsham is a small village in Norfolk, England. Its postal town is the nearby Bungay, Suffolk. It covers an area of 12.65 km2 (4.88 sq mi) and had a population of 907 in 357 households at the 2001 census, the population falling to 882 at the 2011 census. An electoral ward in the same name exists. This ward stretches south to Wortwell and had a total population taken at the 2011 Census of 2,444. 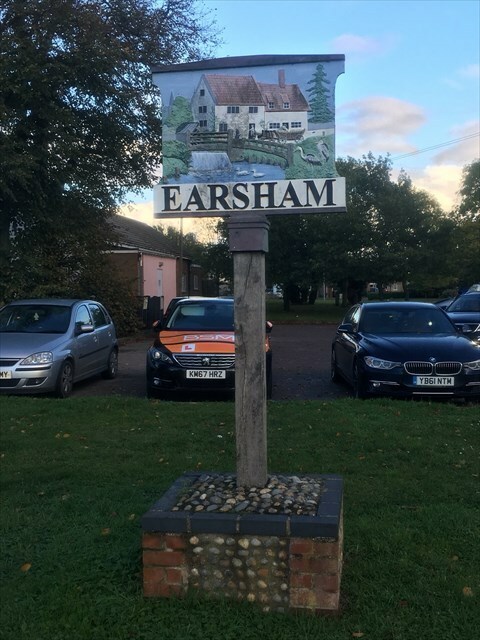 Earsham's name refers to its position within a stubble or earsh field in which plant material - wheat, barley or rye had been cut leaving a short stubble or short stalks. Earsham village sign features the watermill situated on the River Waveny to the North of the village. There is plenty of off road parking next to GZ.